Ramblings of a Beer Runner: A review of "Craft Beer for the Homebrewer"
Ever drink a great craft beer and wonder, "How can I brew something like that"? A new book, Craft Beer for the Homebrewer provides the answers you've been searching for. It features thirty eight different homebrewing recipes of some of the finest craft beers such as Hop Stoopid from Lagunitas, Allagash Black, and Dead Guy Ale from Rogue Ales. It's a lot more then just a compilation of "clone" brew recipes. 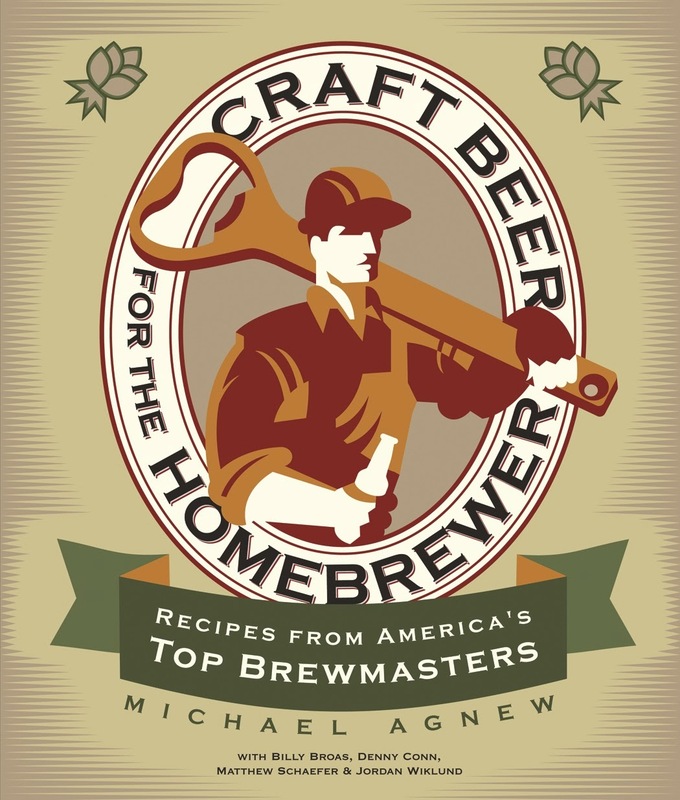 Author Michael Agnew, a certified Cicerone, with help from four others in the world of craft beer and homebrewing, includes several interesting vignettes on each brewery featured. Many readers will be familiar with the stories of breweries like Stone Brewing, Troegs Brewing, and Cigar City. However, Agnew also includes stories on little known, interesting breweries like Dave's BrewFarm, quite literally a small farm in Wisconsin that runs on alternative energy. I also enjoyed the plentiful photography within the book, which captured the feel of each brewery quite nicely. A big attractions of "Craft Beer for the Homebrewer" is that it successfully takes an interesting and varied cross-section from the varied world of craft beer, no easy task from a rapidly growing industry of 3,000 breweries. Of course, the homebrewing recipes are the star of the book and I found them easy enough to follow, given I've brewed about 15 batches of beer in the last four years since I started homebrewing. This book is not for beginners, as the authors assume the reader has a working knowledge of standard homebrewing practices and techniques. A few of the craft beer recipes include comments from the brewmaster behind the beer and there are "Pro Brewer's Tips" sidebars next to a couple recipes. I wish there were more of these great tips. If I had a quibble with this book, it's that the voice of the brewer behind each beer is too often absent. For example, I'd really like to know how the staggering number of nine total hop varieties all work together in Little Sumpin' Sumpin' Ale from Lagunitas, but unfortunately no explanation is to be found. At beer festivals, I take every chance to pick the brains of professional brewers for knowledge to use when I brew, so I was a little disappointed to have so few opportunities to really learn from the masters in the pages of this book, especially when it seemed the authors had pretty good access to each brewery. That aside, I expect to return this book many times both as a guide to help me brew better beers, as well as a nice resource on several interesting breweries all over this country. Reading books like this that capture the wonderfully wide world of American craft brewing make me feel good about beer. Nice Critique. I've been homebrewing for 20+ years and owned Shark's Tooth Beer Company in the S.F. Bay area back in the 90's. It's nice to see the craft industry give up their wares being that it depends on their survival. The beers MUST be good! Sharing it with homebrewers, I have always felt was good karma. I figured if people were out at bars and saw our brews, that they would order them. I personally think bogarting recipes is counter-productive being that "most" homebrewers know that it is almost impossible to totaly recreate a beer, even if they have the recipe because of all of the inherent variables. Nuff said!